We regularly receive enquiries from our clients regarding troubleshooting issues or general maintenance; many of which are better explained visually than by instructions. So, in addition to our new Digital Helpdesk, we now also have a selection of video tutorials! Over the past year, we have been hard at work producing hearing-related videos, intended to teach our clients, for example, about the ins and outs of hearing aids, what you can expect from a hearing aid, what day-to-day life is like as a hearing aid user, and all the tips and tricks to keep your hearing aids in good working order! Below, we’ve divided our videos into playlists, just click and play! 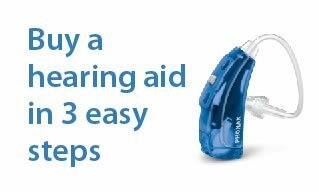 Here are all of our tutorial videos, designed to show you the simplest and most efficient methods of inserting, maintaining and cleaning all types of hearing aids! With most modern hearing aids now having smartphone compatibility, many manufacturers have been busy developing applications which allow you to control various aspects of your hearing aids directly from your phone! As a result, we’ve been equally busy reviewing these applications, and showing users how to operate the apps! Simulations are our way of showing you what it might be like to either have a hearing loss or to undergo wax removal. This gives our clients an insight into not only how we operate, but also what we handle on a day to day basis! The latest hearing aids are fully compatible with modern smartphones such as the iPhone, Google Pixel or Samsung Galaxy. Not only does this allow users to stream audio directly to their ears from their phones, but it also allows them large amounts of control over their volume, background noise reduction, and different program options. Naturally, connecting your hearing aids to your smartphone is of great importance, so find out how in this playlist! Not enough people know about the dangers of exposure to loud noise, and the irreversible damage it can cause to your cochlear. This educational series is purpose-made to raise awareness of ear protection, and also advise people on how best to protect their ears in relation to their lifestyle. This series contains motorcycle ear protection, sleep ear protection, industrial ear protection, swim protection and shooting protection.